These presentation slides 34237 are complete compatible with Google Slides. Simple download PPTX and open the template in Google Slides. 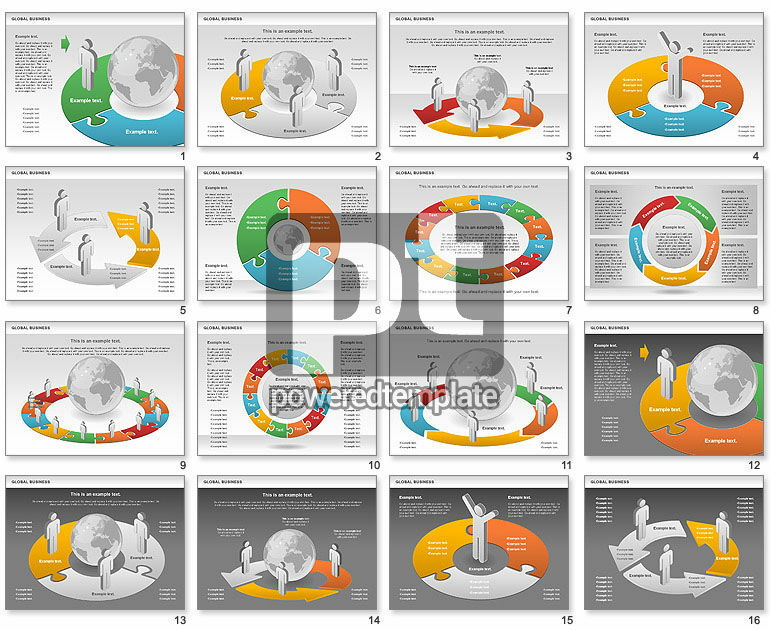 Global Business Diagram with Globe on it and donut chart around him will help you in case you need to demonstrate and analyze something global like international trading , global business, transnational corporations activity, global policy, wide world financial review, financial reports of global economy, etc.